“We didn’t have a lot of financial resources but what we did have was people,” says the National Disability and Carer Alliance’s Kirsten Deane. Like all good photographers, Sophie had first put her subject at ease, slipping her hand into the prime minister’s and then climbing into her lap. Then, at a later function, she snapped a beaming Gillard. The following week, in Brisbane, the PM met seventeen-year-old Sandy Porter, who has cerebral palsy. He presented Gillard with a card with signatures he had collected. It was headed “Thanks Prime Minister Gillard!” and underneath was Sophie’s photograph. Gillard’s voice started breaking as she added that the new scheme would give Sophie, Sandy and others with disability the security and dignity every Australian deserved. Her speech and her reaction that day were the culmination of what Jenny Macklin, Labor’s family and community services minister, tells me was “one of the best grassroots campaigns I have seen.” It also marked a remarkable political achievement: the introduction of a major social reform, on a par with Medicare, that had barely had been on the political radar six years earlier. The key was the Every Australian Counts campaign, which confronted and connected voters and politicians with people we often find easier not to think about – those who, in every respect except one, are the same as their fellow Australians, with similar feelings, aspirations and disappointments. The campaign developed a momentum that carried everything before it, pushing aside the multitude of other priorities jostling for the attention of politicians, rolling over the objections of Treasury and Finance officials whose job is to discourage governments from spending money, sweeping up conservative premiers reluctant to give an even break to a Labor prime minister, and even taking with it Tony Abbott, who had built his reputation on opposing Labor taxes but agreed with barely a moment’s hesitation to an increase in the Medicare levy from 1.5 per cent to 2 per cent to fund the scheme. It is an achievement all the more notable because the basic issues and principles were explored in forensic detail as long ago as 1974 but have largely been ignored for most of the four decades since. Soon after coming to government in 1972, Gough Whitlam commissioned an inquiry headed by New Zealand judge Owen Woodhouse into a national accident compensation and rehabilitation scheme. 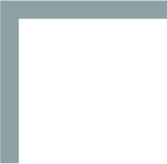 Its report recommended a system of no-fault compensation for all injuries – extending beyond the present coverage of workers’ compensation and motor accidents to cover anyone with an injury, whether acquired or from birth, and those with incapacity due to illness. These people would receive a proportion of their previous earnings – up to 85 per cent for total incapacity – or a fixed amount if they weren’t in work, and would have access to rehabilitation services. “Australians should not have to live in doubt or anxiety lest injury or sickness reduce them to poverty,” Whitlam declared in his policy speech for the 1974 election. “We want to reduce hardships imposed by one of the great factors for inequality in society – inequality of luck.” Legislation for a scheme covering acquired injuries, financed through payroll tax and excise duties, was before parliament when the Whitlam government was dismissed in 1975. It had aroused vociferous opposition from vested interests, particularly insurance companies and lawyers, and was abandoned by the incoming Fraser government. But the problems remained as real as ever. If you broke your neck in a car accident or at work, you were covered by a third-party insurance scheme or workers’ compensation. If you did the same by hitting a rock when diving into the water, you received no compensation at all. Instead, you had to wait in a queue for a patchwork of ad hoc services that might or might not meet your needs and might not even reach you before the money ran out. The same went for people who were deaf, blind, autistic, had cerebral palsy, Down syndrome, a severe intellectual injury or any manner of other disabilities. Often those in this position wanted to work but help was not available, either to get them there or in the workplace itself, even though providing that assistance would save on welfare benefits and bring in more tax revenue, not to mention increase their life satisfaction. As a result, according to the Organisation for Economic Cooperation and Development, Australia is near the bottom of the league table on indicators such as the proportion of people with a disability who are unemployed and the number living below the poverty line. The scheme that Labor steered through parliament this year doesn’t pay people an income. Instead, it gives control over how funds are spent to the 410,000 people the Productivity Commission has calculated would be eligible for support, and to their families. In consultation with each person, DisabilityCare, the organisation set up to administer the NDIS, works out a plan with the best mix of services and aids. Rather than governments giving fixed grants to service providers, funding is allocated on the basis of individual needs calculated over a lifetime. The insurance-based approach creates incentives to minimise costs by favouring early intervention and access to education and training to maximise long-term independence. The Productivity Commission estimated that such a scheme could ultimately see an extra 320,000 people in the workforce, meaning tens of thousands of carers also would be freed to go to work or increase their hours. IT WAS Brian Howe, Paul Keating’s deputy prime minister and a long-serving minister in the Hawke and Keating governments, who was the catalyst for the renewed debate. Howe had introduced the first disability discrimination legislation in 1992 and initiated the first Commonwealth–state disability agreement in the same year. Preparing for a speech at the University of Melbourne around 2007, he went back to the Woodhouse report and started thinking about the principles involved. Howe introduced Bonyhady to Bill Shorten, who Rudd had appointed as parliamentary secretary for disabilities. For someone who even then saw himself as a future prime minister, the portfolio had come as a disappointment. As one colleague put it, Shorten “didn’t really want it but it was all that was left.” But the appointment turned out to be a happy coincidence between Shorten’s ambition and the needs of people with disabilities. Shorten became an outspoken advocate for reform. 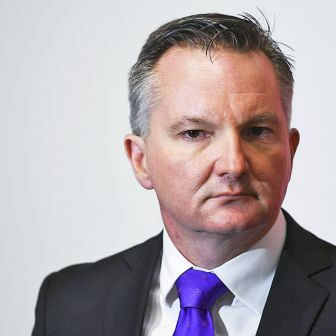 It wasn’t a risk-free stand: he was criticising the neglect of both Labor and Liberal governments and he was applying external pressure to the government of which he was a member. In a passionate speech, “The right to an ordinary life,” he drew attention to how 30 per cent of households that included a person with disability were living on less than half the median income, even though their living expenses were much higher than average, and how 20 per cent of NSW prison inmates had a serious intellectual disability, compared to 1 to 2 per cent of the general population. He expressed his frustration at the fact that disability reform was regarded as a marginal issue in the political debate. But he also realised its potential political potency. 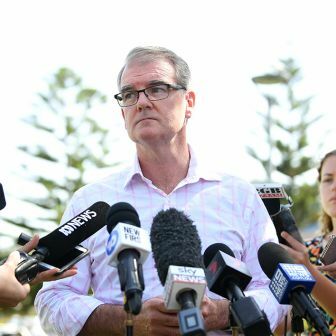 “I have a 100 per cent conviction that this is far more important than Canberra insiders, including in the press gallery, have treated it up to now,” he said in 2010. In 2008, Bonyhady had co-authored a submission to Kevin Rudd’s 2020 summit calling for a national disability insurance scheme, or NDIS, and the summit had adopted it as one of its “big ideas.” It was the first time the issue had broken into the mainstream of public debate, however briefly. Shorten appointed Bonyhady as one of the experts to the Disability Investment Group, with a brief to look at the feasibility of such a scheme. It reported that the patchwork of ad hoc services for people with disabilities who fell outside the workers’ compensation and motor accident schemes was “a national disgrace.” And it warned that the demand for services was growing at 7.5 per cent a year as the rising incidence of disability in an ageing population combined with a shrinking pool of carers, leaving the huge potential cost of replacing informal, largely unpaid care with formal care. According to John Della Bosca, the former NSW minister for disability services who was to head the community campaign, “Each of the key groups approached disability and the politics of disability in very different ways, depending on whether they were advocates, carers, or disability service providers.” The different groups also competed for limited resources, trying to convince state governments that their particular disability deserved priority. Shorten set up a ministerial council headed by Rhonda Galbally, a longtime campaigner for disability rights, to encourage people to work together. 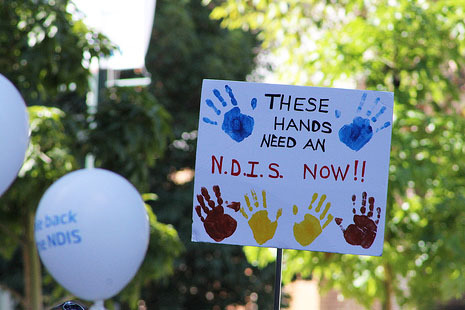 Galbally suggested forming a single group and, with Bonyhady arguing how the NDIS proposal could itself be a unifying force, the result was the formation of the National Disability and Carer Alliance. But the campaign relied primarily on “very ordinary, old-fashioned grassroots local campaigning,” says Deane. “We had very, very passionate people – it was about mobilising them.” Leaflets were stuffed in letterboxes and handed out at train stations and supermarkets. Rallies were held around the country, as were national morning or afternoon teas – so-called DisabiliTEAS – one of which attracted a total of 90,000 people nationally. It was a great idea, but the gap between conception and execution could be considerable. “The vast majority of severely disabled people have an intellectual disability, so you have to give them self-confidence,” says Della Bosca. “The idea of going into an office and talking to a member of parliament about what you think should happen is very daunting.” Training sessions were organised, with Della Bosca playing the role of MP. The logistics were often challenging, too. “If it takes someone with a severe physical disability three hours to get ready – and that’s not at all unusual – and you get a call from an MP’s office to come in at 9 am, that can mean you have to get up at three in the morning,” says Fiona Anderson, the campaign’s Queensland coordinator. At least 80 per cent of federal parliament’s 150 lower house MPs received visits from people with disabilities, and some more than once. The more MPs were contacted, the more they started discussing the issue among themselves. The campaign put together a library of photos of MPs with people with disabilities holding signs saying, “I count.” “It was a very simple idea but it was one of the most successful things we did,” says Della Bosca of the approaches to politicians. EARLY in the life of the Rudd government, Brian Howe had also taken Bonyhady to see Jenny Macklin, who was the senior minister with responsibility for disability reform. The connection between Howe and Macklin was close and longstanding: he was a mentor and recruited her during the Hawke government to conduct an extensive review of health policy. She and Shorten had complementary skills: Macklin was the policy wonk who argued the case in detail before cabinet and brought the scheme into being. Shorten was the communicator, adding passion, political nous and public pressure to the cause. Macklin realised that such a major reform required extensive policy work. The Prime Minister’s department – which, like Treasury and Finance, was concerned about the cost of the scheme – pushed for the Productivity Commission to hold an inquiry. Given the commission’s reputation for a rigorous, unsentimental approach to economic and industry policy, that move would have raised alarm bells in many Labor circles. But Macklin agreed. She had sent the commission a reference on a paid parental leave scheme and had been impressed with its report, whose recommendations she had implemented. Macklin suggested the commission recruit John Walsh, an actuary at PricewaterhouseCoopers, to work on the inquiry. Walsh not only had personal experience of disability – an accident playing rugby league had turned him into a quadriplegic – but, with the support of Della Bosca as minister, he had designed and seen implemented what was then the gold standard in disability care – the NSW Lifetime Care and Support Scheme, which provides treatment, rehabilitation and other services for those severely injured in road accidents. In the meantime, Shorten had helped organise the coup against Kevin Rudd, and following the 2010 election Julia Gillard rewarded him with a promotion to assistant treasurer. Although he was no longer responsible for disability affairs, he decided to cash in some of his political chips with the new prime minister, gaining her agreement to a dinner at the Lodge with the major figures involved in disability reform, including Macklin, Bonyhady, Galbally and Walsh. “It was a critical step on the road to her ultimate complete commitment to the scheme,” says Bonyhady. When it came, the Productivity Commission’s imprimatur for an NDIS was a huge boost. It said the present system was “underfunded, unfair, fragmented and inefficient,” giving people no certainty of access to the support they needed. It also was unsustainable, with insufficient funding meaning priority was given to crises cases and resources were withheld from early intervention and respite programs that could reduce the number of future crisis situations. The report found that funding would need to double from the $6.2 billion spent in 2009–10 – an estimate the federal government subsequently increased to $8 billion a year for a fully operating scheme. They are figures guaranteed to make treasurers and finance ministers blanch. But the Commission justified the extra spending with the telling comment that, “were government to be starting with a blank slate in determining its funding priorities, there would be a strong rationale for provision of disability services to be one of its highest spending priorities.” In any case, services were becoming increasingly costly without any overall improvement in quality. That didn’t mean the money was easy to come by. Earlier this year, Macklin went to the Expenditure Review Committee of Cabinet asking for $14 billion over five years to cover the phasing in of the scheme – this in a budget process in which revenue was repeatedly being revised downwards. It took three or four meetings, with the Finance and Treasury departments doing their best to pare the figure back, before Macklin could convince her colleagues. “It certainly was the hardest thing I ever had to take to ERC,” she says. Following Brian Howe’s example stood her in good stead. Like Howe in the Hawke and Keating governments, Macklin was a member of the ERC, and like him she had earned respect from her colleagues by agreeing to cuts in programs – family payments and the baby bonus, for example – to make way for other priorities. Moreover, while Gillard didn’t normally attend ERC meetings, ministers knew that she had become a strong supporter of the NDIS. This article was jointly funded by Inside Story and Australian Policy Online. Mike Steketee, a former columnist and national affairs editor for the Australian and political editor and Canberra correspondent for the Sydney Morning Herald, is a freelance journalist. 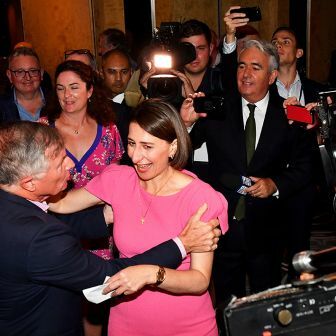 National Affairs Raking through the embers of Labor’s loss Tim Colebatch 25 March 2019 Two different elections took place on Saturday, and the opposition won neither of them National Affairs Awake at the wheel David Clune 24 March 2019 Gladys Berejiklian’s historic win was partly good luck but mainly good management National Affairs Big target, high stakes Paul Rodan 30 January 2019 Labor’s economic policies might seem like a life raft to the Coalition Books & Arts Working together, living apart Kate Crowley 19 December 2018 Books | Are Labor and the Greens divided by their common ground? 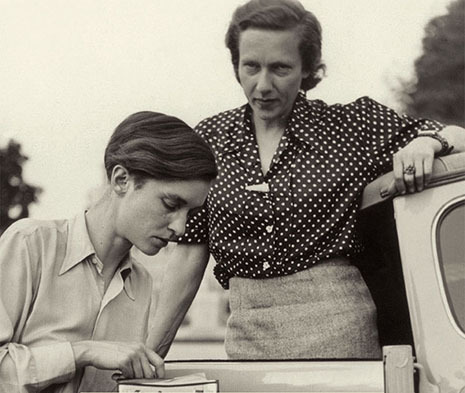 Heroine: Ella K. Maillart (right) with her travelling companion Annemarie Schwarzenbach and their Ford, from the cover of The Cruel Way.